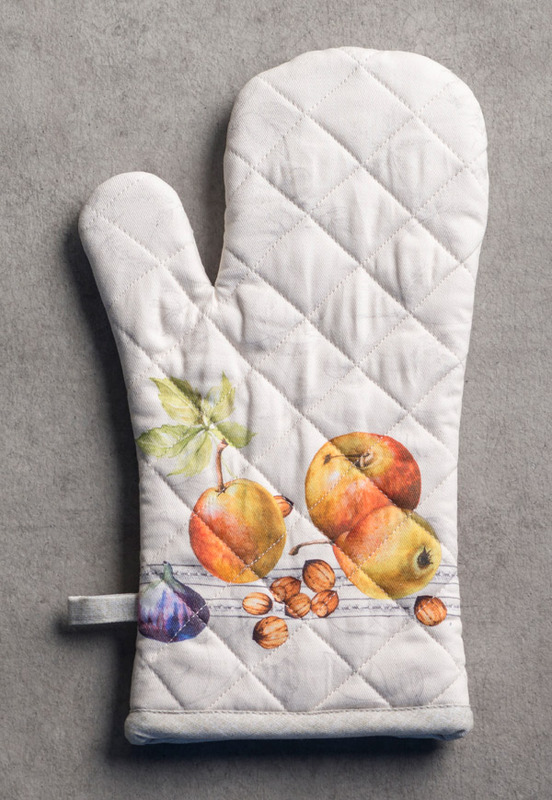 Autumn is the time for fall-ripening fruits that serve as a treat to our taste buds. 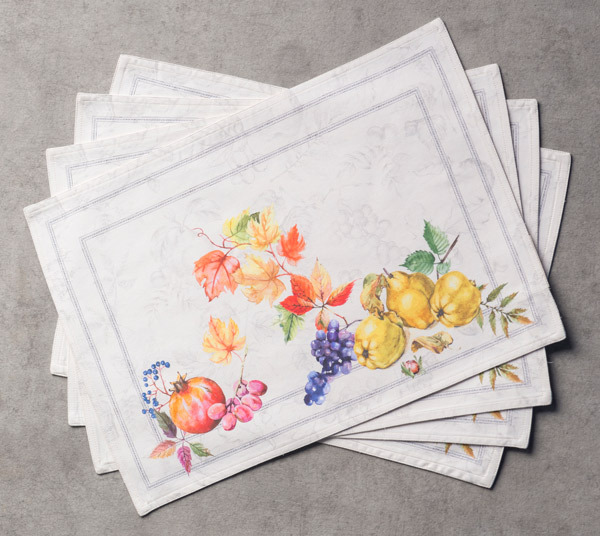 To celebrate the spirit of harvest and the abundance of fruits that autumn provides, Maison d’ Hermine has come out with the Fruit d’Hiver collection. 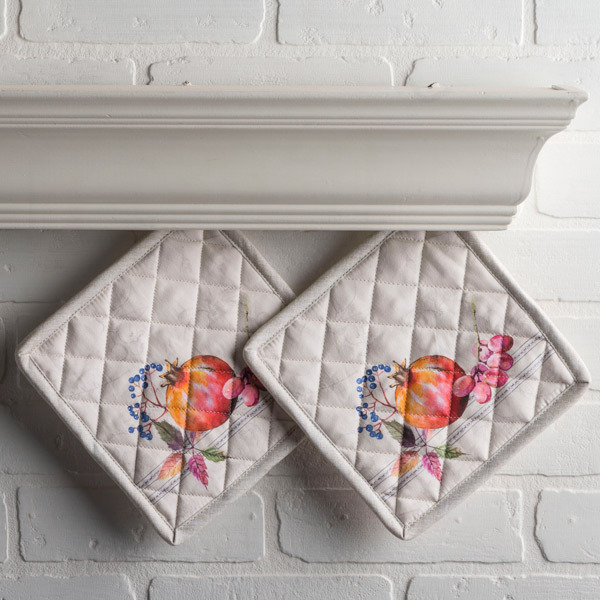 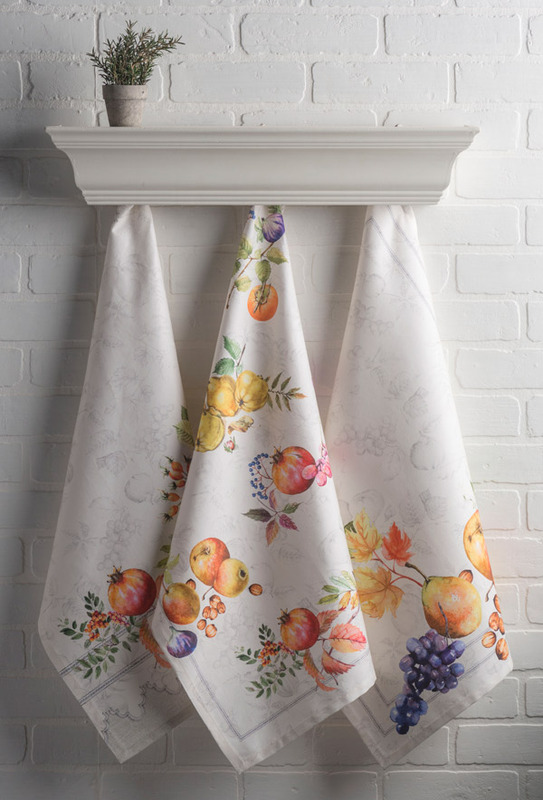 Rich in color and detail, the Fruit d’Hiver collection adds character to your kitchen or table. 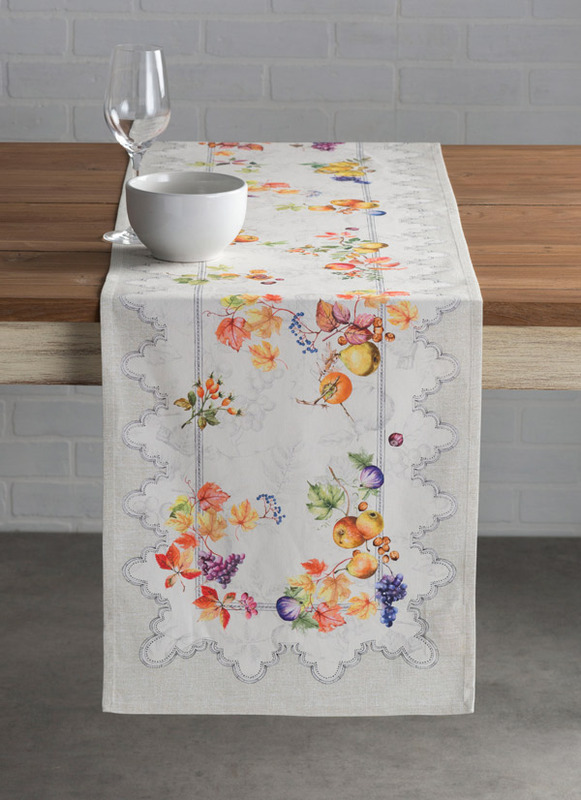 Set against a background of fruits and leaves, it evokes lovely memories of autumns past and gives hope about the upcoming harvest season. 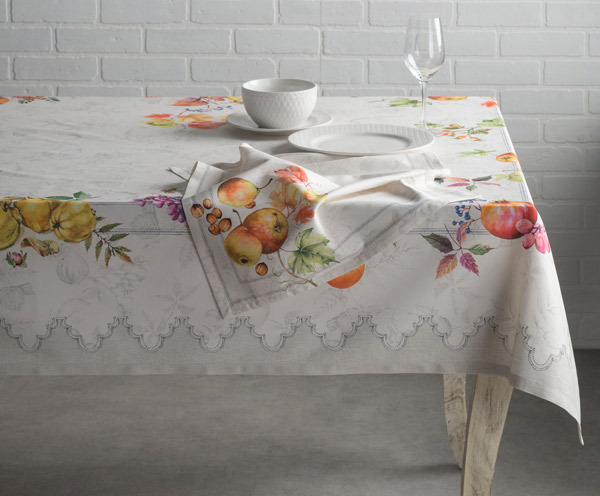 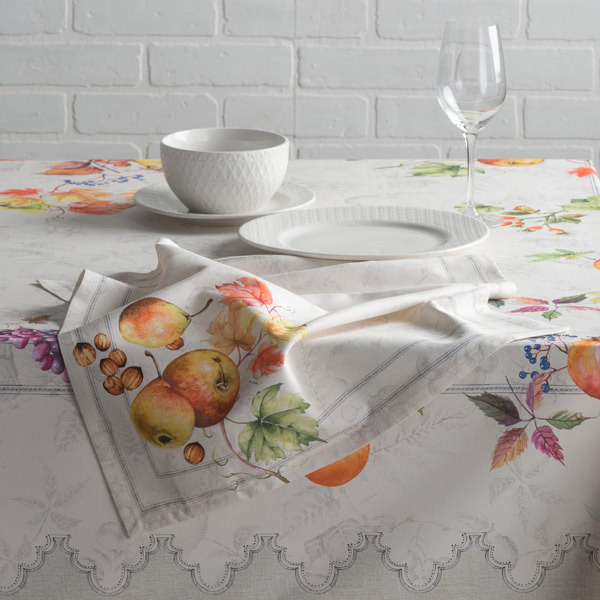 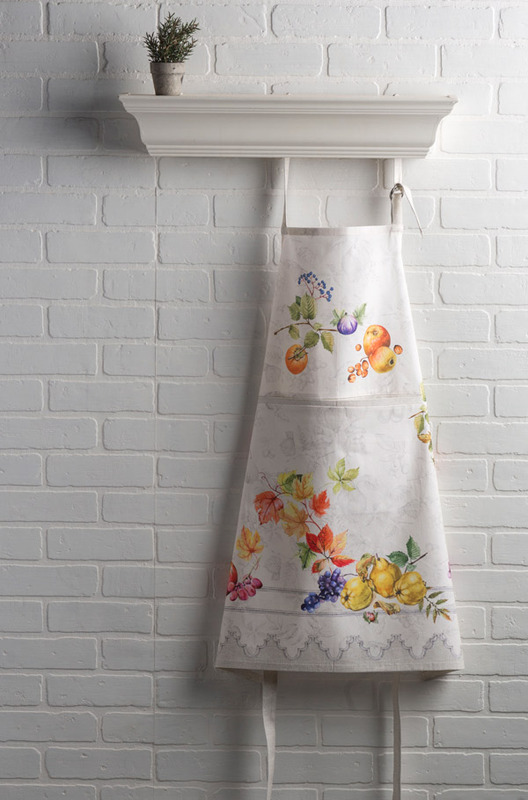 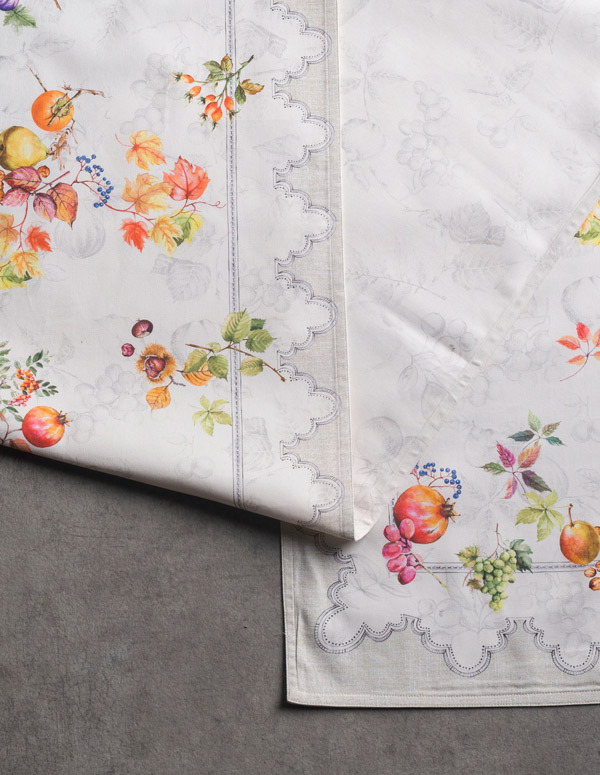 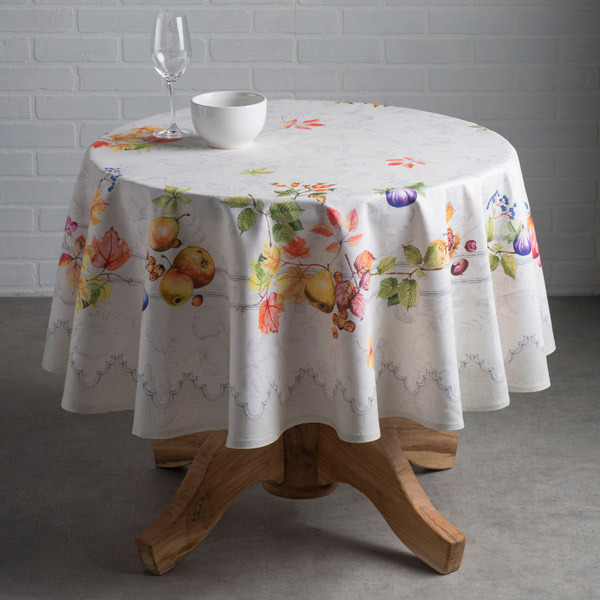 Designed in Europe and printed with care on 100% cotton in India, The Fruit d’ Harvest collection includes all sorts of kitchen and table linen that are designed to make your autumn rich and memorable.